Unlike traditional film processing, the image from a compact digital camera will undergo some cropping. Most compact digital cameras take photos that result in 4" x 5.3" prints by default. In order to produce a 4"x 6" print, which is a more rectangular print, parts of your picture will be automatically cropped. 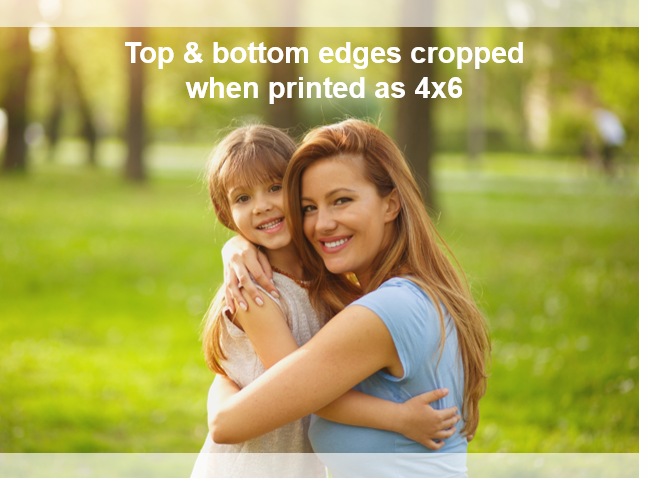 When ordering 4"x 6" prints from photos taken with a compact digital camera, please be sure to preview your photo and manually adjust the cropping prior to ordering. To learn how more about cropping your photos, visit Photo Editing.